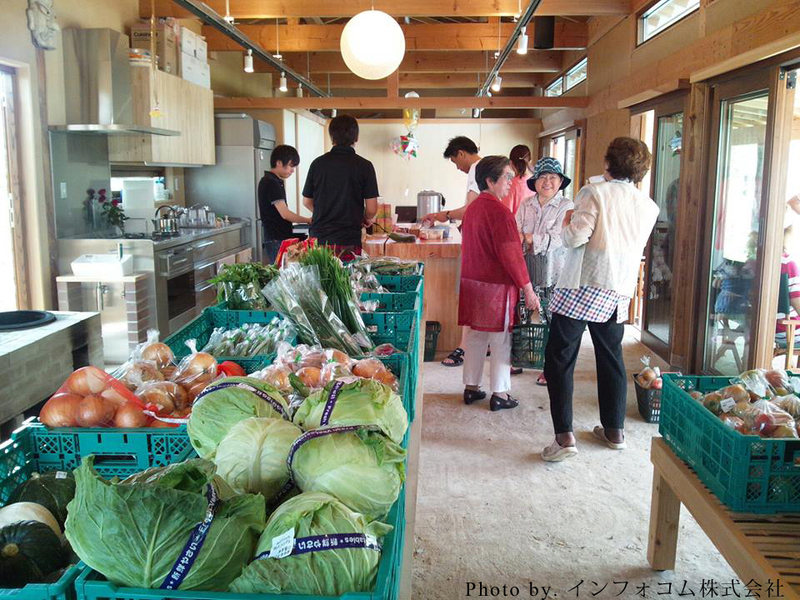 In this hub of activity, NPOs in Iwanuma and IT companies from Tokyo team up to help kickstart a for revival of local agriculture. 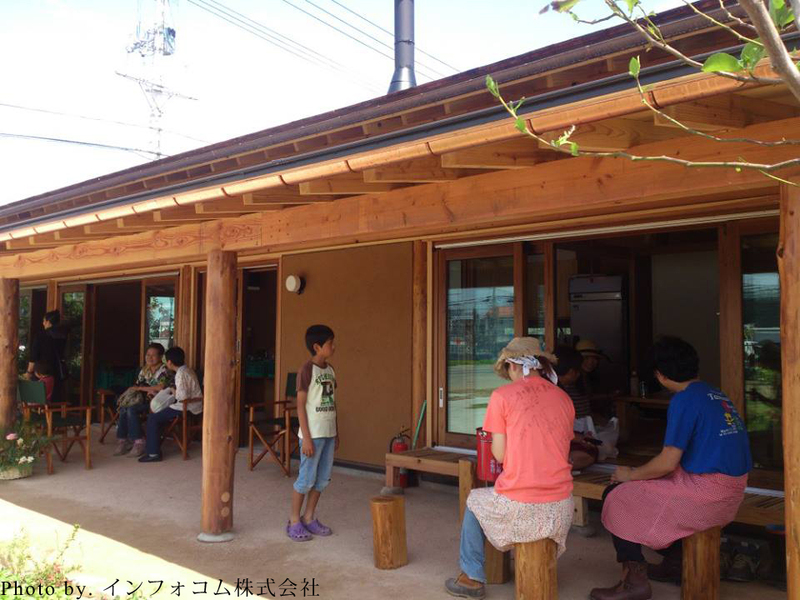 This building is intended as a base for people to continue and to support local agricultural activities. It is a base for sustaining and creating future agriculture by fusing agriculture and IT. In the building there is a cafe and a farmers market. The structure is designed to resemble a traditional Japanese farmhouse, with a high ceiling and contrastingly low and deep eaves to create a depth in architecture. By creating the eaves and the edge side, the entrance becomes more free and the boundary becomes ambiguous and more welcoming. It is not a space created for functionality, but rather a space for users to think and create. A large table is set up in the centre of the house, so that local farmers are able to sell their delicious rice and then meet with friends on Skype. In the process of design and construction, new relationships were born. Designers, users and investors think differently but on this project were able to come together with a mutual understanding. This kind of relationship is made possible by bringing different kinds of people together, linking them in the use of a building.